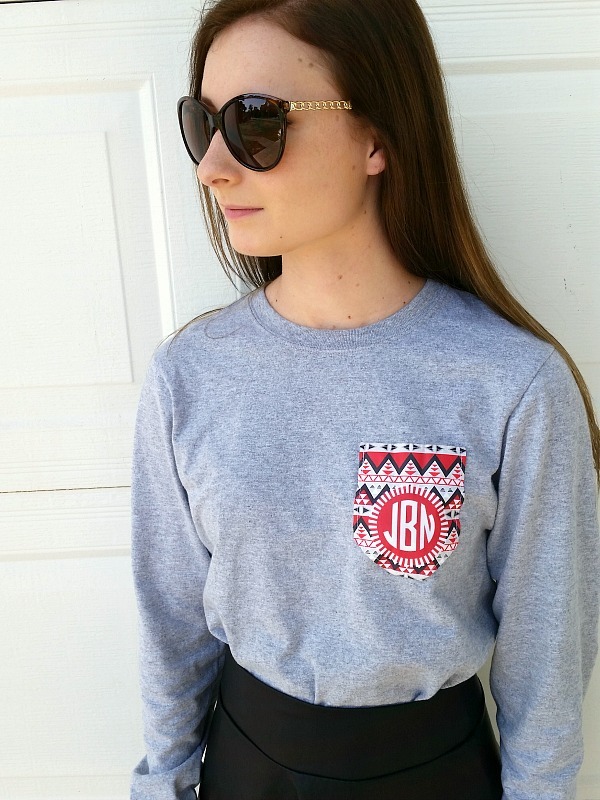 Monograms add a customized touch to an outfit. Marley Lilly is a company who monograms everything you can think of. They have jackets, dresses, jewelry, shoes, shirts, and more that you can customize with your monogram. That means that you will have an item no one else will have (unless they have the same initials as you). I was lucky enough to be sent this super comfy long sleeved t-shirt with my monogram from Marley Lilly. 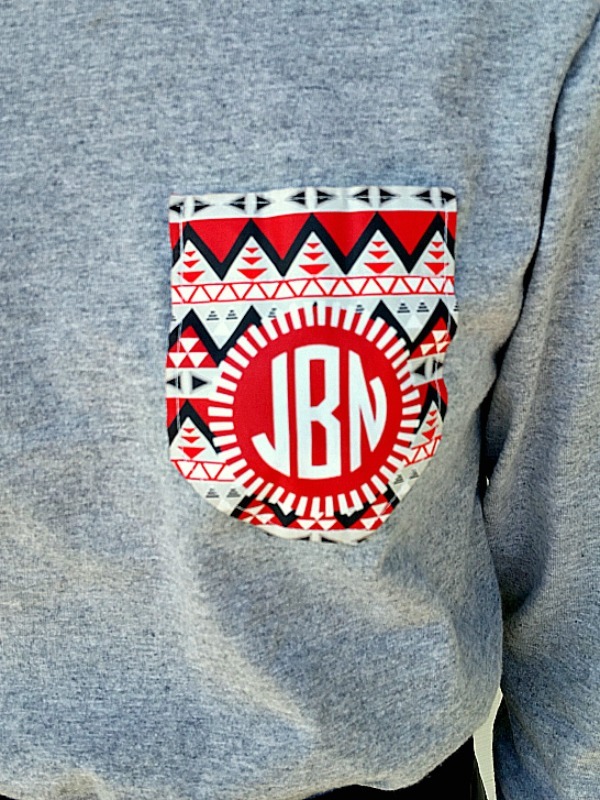 It screams me, with the tribal red and black print behind my monogram and the comfort of a t-shirt. Get customizing at Marley Lilly and get some gifts for your bff’s this holiday season! I paired this t-shirt with a black leather skirt, leather bow flats, a big Michael Kors tote, and cat eye sunglasses. I love the look of a simple long sleeved tee with a leather skater skirt, it’s comfortable and cute. Pair it with a huge tote and it automatically becomes one of my favorite outfits. Cute outfit! loving that MK bag! What a cute outfit! You look great in it! Thank you for sharing. Very cute indeed! You look terrific in it! Love the monogram pocket detail. Simple outfit, but you looks very nice in it. 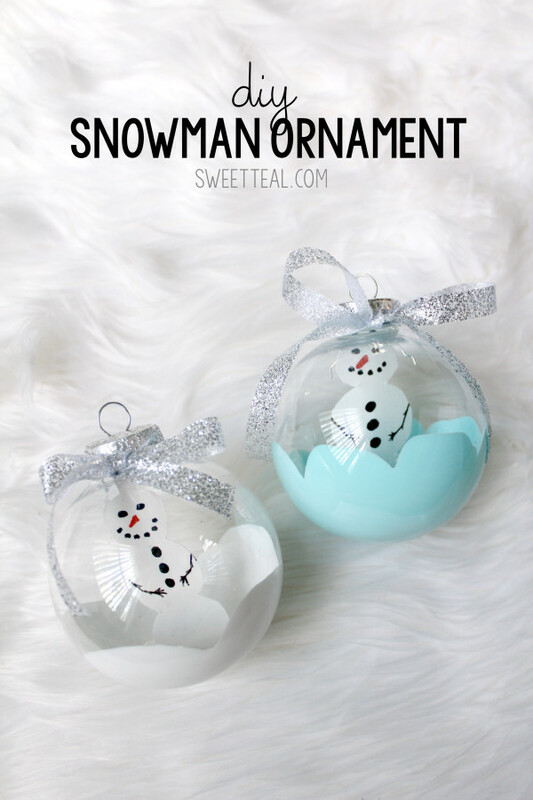 Soooo cuteee.. I love the skirt and black flats. Your bag is adorbs<3! That MK bag is gorgeous. It could go with any occasion.